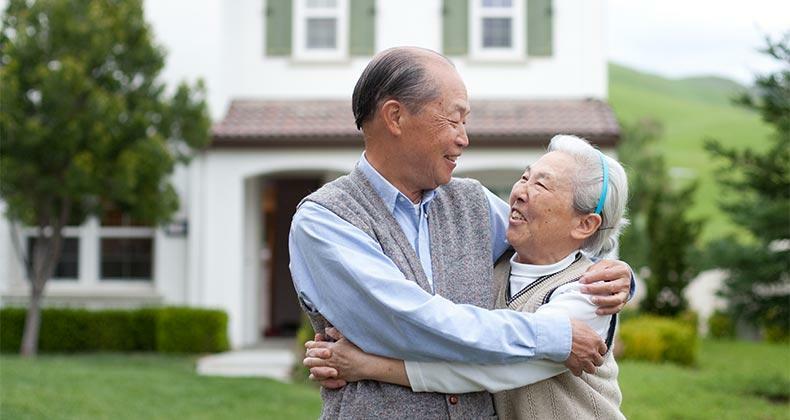 Older homeowners who are ready to say goodbye to the burden of a mortgage payment may consider paying off their traditional home loan using their home's equity -- through a reverse mortgage. Reverse mortgages have gained a somewhat dubious reputation over the years, but they can be a useful financial tool for seniors when used appropriately, says David Johnson, associate professor of finance at the Maryville University in St. Louis. A home equity loan in which the borrower is not required to make payments. The homeowner must be at least 62 years old. A reverse mortgage accrues interest and doesn't have to be repaid until the homeowner dies or moves out of the house. The Federal Housing Administration, or FHA, calls it a HECM, for home equity conversion mortgage. "Years past, financial planners didn't view reverse mortgages as a planning tool," says Johnson, who co-authored a study discussing the growing importance of reverse mortgages in retirement. "It was viewed as a last resort, and they assumed that the only people that do reverse mortgages are people that are desperate. Clearly that's not the case, and I think they are starting to view it differently now." ADVISER SEARCH: Curious about reverse mortgages? Find a financial adviser today to help you make the right decision. One of the most common reasons homeowners get a reverse mortgage is to pay off their existing mortgage so they have more income to work with, says Maggie O'Connell, who runs ReverseMortgageStore.com. "They already have this debt on the house, so instead of making their mortgage payments, they are just paying it out of their equity before they leave the home," she says. Robert is married to Linda, who at 62 is the younger spouse. Their house is worth $200,000 and they owe $62,000 on the mortgage. Based on their ages and the home's value, they can get a reverse mortgage for up to about $104,800. This is known as the principal limit or maximum loan amount. Closing costs, including FHA initial mortgage insurance, reduce that available amount to about $93,800. Barbara is a 75-year-old widow with a house that's worth $400,000. She owes $25,000 on a home equity line of credit, with no other mortgage debt. Based on her age and the home's value, she can get a reverse mortgage for up to about $245,600 (the principal limit). Closing costs, including FHA initial mortgage insurance, reduce the available amount to around $234,900. "Maybe they don't need the money right now, but down the line they might have a medical emergency, so it's good for them to have the option," she says. "Maybe they don't need the money right now, but down the line they might have a medical emergency, so it's good for them to have the option." That was the case with Barbara Hiebert after her husband died. Their house was mortgage-free, but she knew her retirement income wasn't enough to cover some of her expenses, including medical emergencies. She decided to get a reverse mortgage and didn't access the money until she had no other option. "I rely on it only when I need it," she says. Recently, she hurt herself after falling and spent more than $10,000 during her at-home recovery. "I had people come in for 3 hours in the morning and at night," she says. "It was expensive. I couldn't have afforded it without the reverse mortgage." "But they told me, 'We don't want you to think like that. We have money to take care of ourselves. We don't want you to worry,'" she says. In addition to feeling guilty, some seniors are confused about the process and are worried that once they get a reverse mortgage, they'll no longer own the house, Johnson says. Once the homeowner dies, the heirs are given the option to pay off the loan and keep the house or sell it to pay off the loan. If the house sells for more than the amount owed, the heirs receive the remaining balance. If the loan balance is bigger than the home's value, the bank takes all the proceeds, but the balance of the loan does not have to be repaid. SEARCH RATES: Shop today for the best mortgage deal on Bankrate.com. One of the common criticisms about reverse mortgages is that they are too costly. But they are no different from conventional mortgages in terms of costs, says Peter Bell, president and CEO at the National Reverse Mortgage Lenders Association. "It's still going to be accruing interest on the house the same way as a conventional mortgage," he says. "The question is whether you are going to be making those monthly payments now or let that be paid off later." Because the homeowner isn't making monthly payments to cover upfront costs, interest and mortgage insurance, the equity on the house can quickly shrink as the loan balance gets bigger over time. It's crucial that seniors receive the required counseling before getting a reverse mortgage. "For consumers, the most important thing they can do is to become educated on how it works," Johnson says. "A reverse mortgage is not the solution for everybody, but clearly it's an option for many people, and the more information they know, the better they can understand how the product works and they can make an informed decision." SEARCH RATES: Ready to get a reverse mortgage? Shop for the best mortgage deal on Bankrate.com right now!